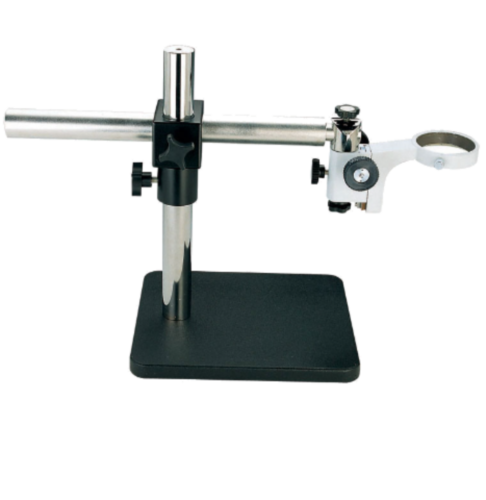 The combination MS-6 Stand features a solid, sturdy base with enough height and horizonatal range for many applications, including examination of substructures in electronics and PCB manufacturing. It has a rectangular base with dimension of 255 X 255mm. The horizontal post is 32mm in diameter and the total length is 445mm. The vertical post is 31mm in diammeter and height of approximately 390mm. The horizontal arm assembly can also be locked into a fixed position if so desired.